You have a split second to make a life changing decision. Shoot, or don't shoot. In National City, residents got a chance to experience what its like to be a police officer on Saturday. SAN DIEGO (CBS 8) - You have a split second to make a life changing decision. Shoot, or don't shoot. 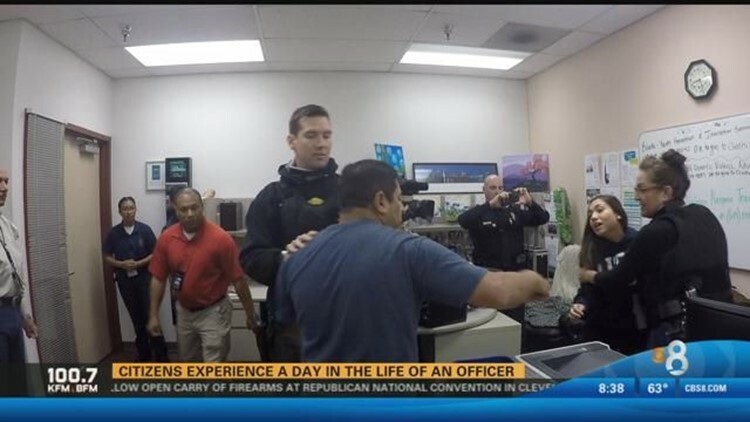 In National City, residents got a chance to experience what its like to be a police officer. It was all part of the National City Police Department's Use of Force Community Workshop which was held Saturday afternoon. Citizens were put through different real life scenarios that officers encounter every day. CBS News 8's Kelly Hessedal has the details in this video report.